Lah Lah’s Big Live Band – live! And for today’s earworm, I present Lah-Lah’s Big Live Band. Are you already singing their very catchy opening tune?! I only have to hear the first few bars of the title track from Lah-Lah’s Big Live Band and I’m humming it for the rest of the day. I’m quite sure that seeing the band live would have me singing for a week! Lah-Lah is a popular children’s show on Nick Jr, which introduces kids to the magical world of music. Covering jazz, classical and pop music, Lah Lah’s Big Live Band are boppy and fun and it’s certainly hard for children to resist a bit of hand-clapping and dancing on listening. In an all-new live show, Lah-Lah and Buzz the Band Leader ask for help from the audience to create the biggest and grooviest big band in town. 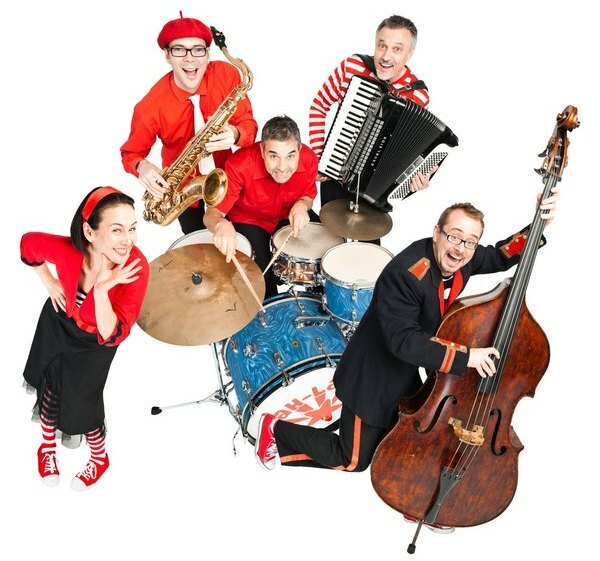 The fun is infectious and expect to hear from lots of musical friends including Lola the dancing double bass, Tom Tom drums and Squeezy Sneezy accordion. Lah-Lah’s Big Live Band will perform in the Concert Hall, at the Sydney Opera House on 25 and 26 June, 2011 as part of the new Family Proms series in the Kids at the House 2011 program. Family Proms is a new initiative at Sydney Opera House aimed at primary school aged children that offers young audiences the chance to experience music on a larger scale, such as a big band or a full orchestra, for the first time. The show is suitable for children aged four years and over and ticket prices begin at $24 each. Bookings can be made directly through the Sydney Opera House.